All PLEASANT HIGHLANDS homes currently listed for sale in Vancouver as of 04/19/2019 are shown below. You can change the search criteria at any time by pressing the 'Change Search' button below. "Amazing main floor living in gated community w/luxury upgrades; high ceilings, hardwood floors. Heated floor master. w/jetted tub, walk-in closet. Gourmet kitchen w/SS appliances, slab granit island w/bar. Great Room w/gas fireplace & beautiful built-in's. Upstairs Bonus Room, Bed & Bath up. Large covered deck & fenced yard with 600 SQ FT storage under the house. Oversized 3-Car Garage." "LIMITED TIME SPECIAL!! $5K in UPGRADES!! 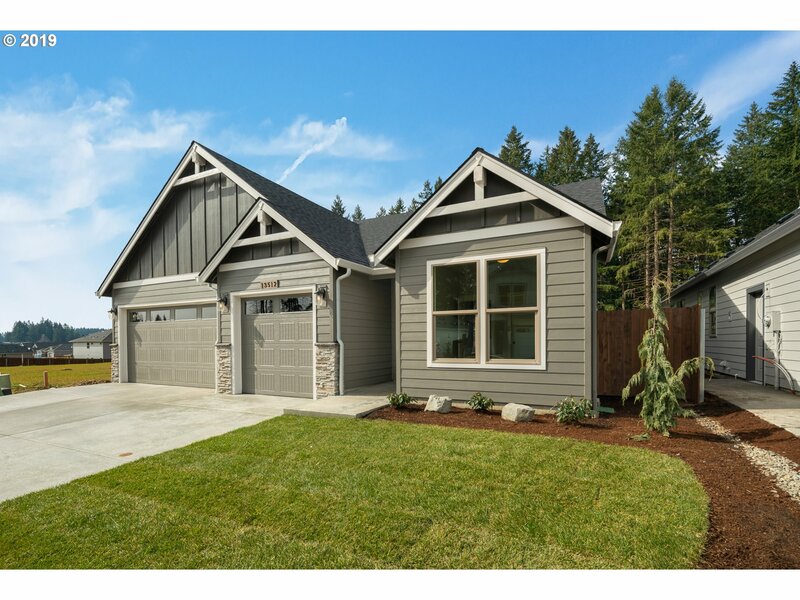 Introducing Pleasant Highlands, a 26-lot neighborhood nestled in the heart of East Salmon Creek. Several lots, floorplans & options available - PLUS TWO MOVE-IN READY HOMES NOT YET LISTED!! Model Home located at: 2814 NE 171st Ave 98682 open Wed-Sun, Noon-5pm. Design process is smooth & efficient. Third-Generation Home Builder. Pictures for reference only; actual home & features may vary." "Gorgeous Remodel brings this charming 1970 home back to life. Great entertaining Newly Remodeled Tri-Level home with NEW hardwood floors & carpet, NEW Exterior & Interior Paint, ductless heating/cooling system, NEW Built-in Cabinetry, NEW quartz counters in kitchen & baths, NEW S/S appliances, NEW tile flooring. Features include stone siding, wood burning fireplace, covered porch, wooden deck and patio." "MOVE IN READY! Beautiful 3bdrm/2.5bath w/large windows makes for a bright & friendly setting. White kitchen cabinets surround SS appliances, walk-in pantry & island w/quartz countertop. Cozy up near the gas fireplace w/shiplap accents & floating cabinetry. Master Suite has all the bells & whistles. Laundry & Mud Room conveniently located. A/C, tankless water heater, 3-car garage, fully fenced & landscaped, sprinkler system & much more!" "One level living by premier local green builder. Enjoy benefits of brand new home constructed with energy efficiency in mind. 9ft ceilings, great room with gas fireplace, island kitchen w/quartz counters & tile backsplash, stainless steel appliances & pantry. Master suite has walk-in closet, tile floor & double sinks in bath. Fully landscaped yard w/sprinklers, fencing. To be Energy Star & NGBS certified. BUILDER'S MODEL OPEN S/S 12-5." "New one level in new Pleasant Highlands neighborhood. Featuring 9ft ceilings, great room w/corner gas fireplace, island kitchen w/quartz counters & tile backsplash, SS apps & pantry. Master suite w/walk-in closet, bath w/tile floor, double sinks, tub & shower. Fully landscaped yard w/sprinklers, fencing. Enjoy the benefits of a brand new home constructed w/energy efficiency. To be Energy Star & NGBS certified. Complete & MOVE IN READY!" "Enjoy all the benefits of a brand new home constructed with energy efficiency in mind. One level living by premier local green builder. Plan features 9ft ceilings, great room w/corner gas fireplace, island kitchen w/quartz counters & tile backsplash, SS apps & pantry. Master suite has walk-in closet, tile floor & double sinks in bath. Fully landscaped yard w/sprinklers, fencing. To be Energy Star & NGBS certified. Completion mid March." "One level under construction by local green builder. Enjoy the benefits of a brand new home constructed with energy efficiency in mind. Plan features 9ft ceilings, great room w/corner gas fireplace, island kitchen w/quartz counters & tile backsplash, SS apps & pantry. Master suite has walk-in closet, tile floor & double sinks in bath. Fully landscaped yard w/sprinklers, fencing. To be Energy Star & NGBS certified. Completion mid March."